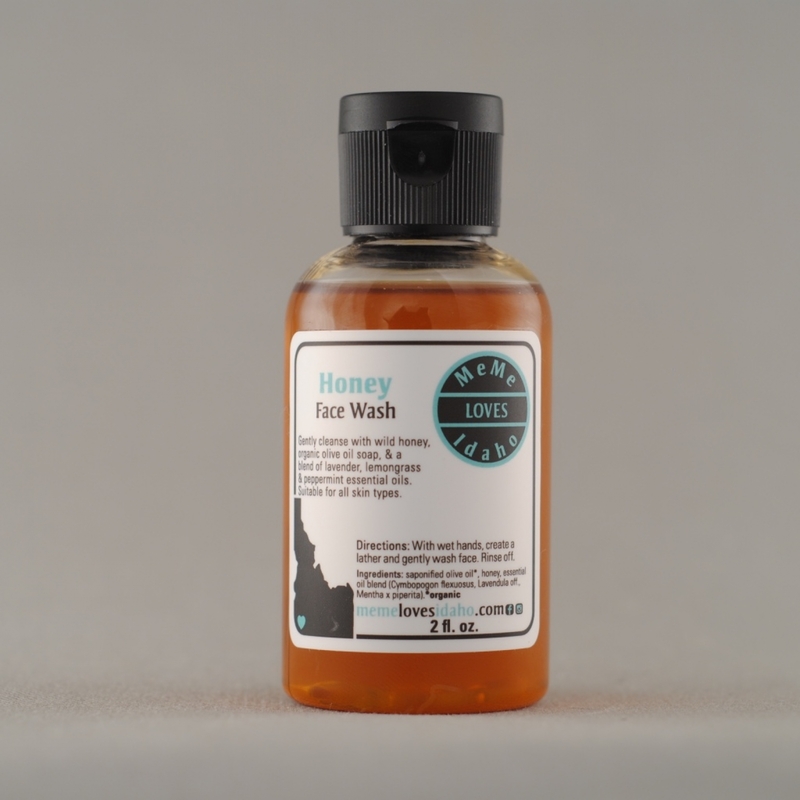 Our Honey Face Wash is a gentle foaming cleanser made with organic Idaho honey, house-made organic olive oil liquid soap and MeMe’s blend of lemongrass, peppermint, spearmint, and lavender essential oils. Soothing & stimulating. Suitable for all skin types. 2 oz bottle. Gluten & Paraben Free.